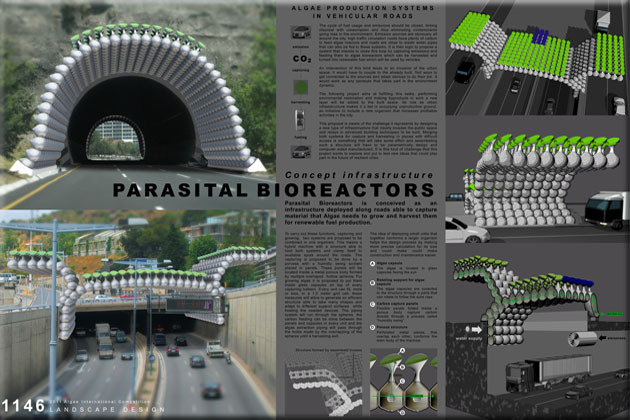 Parasital Bioreactors. 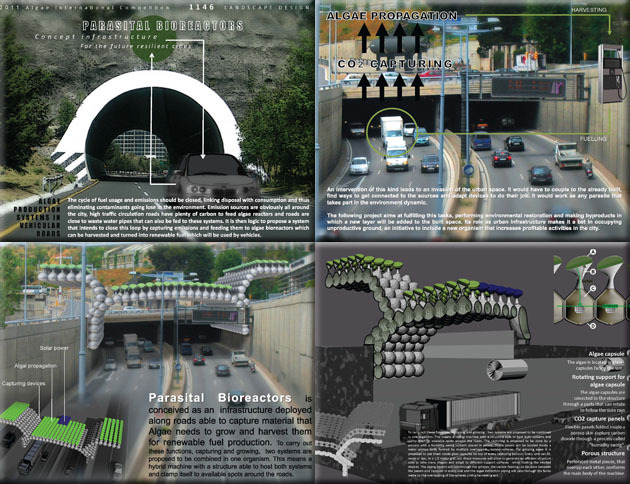 Closing the loop with hybrid machine infrastructure along roads to capture emissions to grow algae for renewable fuel. Capturing by humidity swing sorbent placed in panels inside a metal porous body formed by multiple overlapped hollow spheres and growing algae inside glass capsules on top of every capturing balloon. For more information about this entry, contact the author. email: manuelhernandez91@hotmail.com.